These are actual Mercury Head dimes. They have been hand painted and fired in a kiln. Each coin is then set on a cufflink. Although most commonly referred to as the "Mercury" dime, the coin does not depict the Roman messenger god, nor does it contain any mercury. Each cufflink displays the front depiction of Liberty wearing a Phrygian cap, a classic symbol of liberty and freedom, with its wings intended to symbolize freedom of thought. Designed by noted sculptor Adolph A. Weinman, the Winged Liberty Head dime is considered by many to be one of the most beautiful US coin designs ever produced. These beautiful hand-painted coins continue a very old art form of a family of artists. In painstaking fashion, the artist applies color initially to outline the design, followed by high tempered firing process. The firing process is repeated after each color is applied. The hand-painting process for each piece varies, some taking as long as two days to complete. In the final stage, in order to protect the delicate hand painting, the artist applies and bakes-on a covering of space age plastic, which also adds depth and luster to the item while providing protection forever. 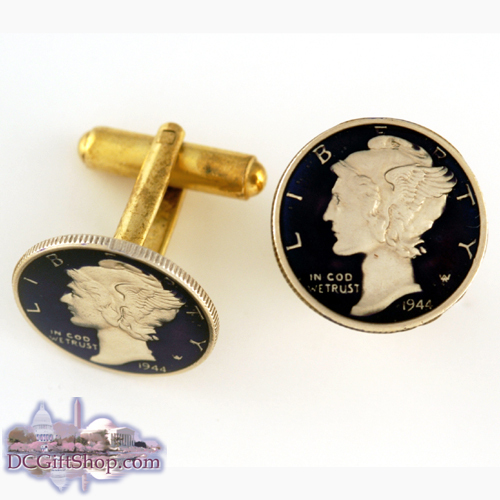 Mercury Head Dime Cufflinks are a wonderful and decorative fasteners worn by men that are used to fasten or link the two portions of a French cuff, typically on a dress shirt or blouse. 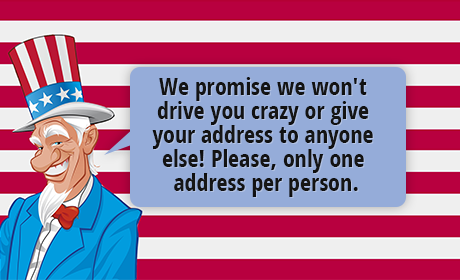 Please allow three weeks from the time of order for our artist to complete your one-of-a-kind pair of cufflinks.